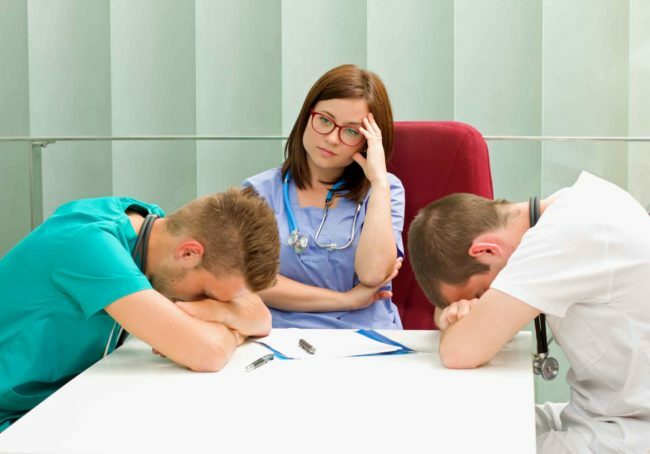 I’m sure you can all agree, that making time to earn your Continuing Medical Education (CME) Credits is tricky. You have a full-time job, a full-time life, how can you also have to fulfil these expensive and time-consuming credits?! So, what? So, what if you just don’t do it? You may not be able to renew your medical license. You may receive a CME fine and/or penalty levied according to your state. You may not be able to pursue maintenance of certification (MOC) with your American Board of Medical Specialty (ABMS). States are Serious about CME Requirements for License Renewal. The licensing program will allow a physician to renew their license once following an audit, permitting him/her to make up any deficient CME hours. The board will not renew the license a second time until all the required hours have been documented. A physician may be charged with “unprofessional conduct” for misrepresenting compliance with the CME requirements during the license renewal process. In Pennsylvania, both MDs and DOs are required to meet CME requirements in order to renew their license. MDs must complete 100 hours during each 2-year license renewal period. DOs also need 100 hours during each license renewal period. MDs and DOs will have their license placed in “unregistered” status. If you practice without a renewed license, you will incur a fee for each month or partial month that you practiced with an unregistered license. There may be additional fees after prosecutors review the case. You also could be subject to disciplinary proceedings and criminal prosecution. 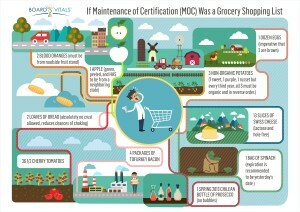 Maintenance of Certification cannot happen without CMEs. 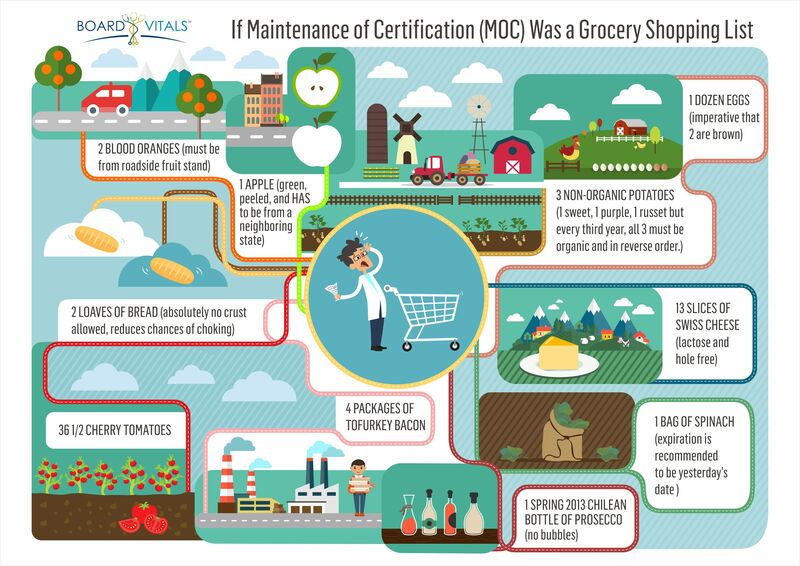 If you are board certified, you are going to have to face Maintenance of Certification (MOC) in order to maintain your certification. Rife with controversy, the ABMS currently oversees MOC for board specialties. Regardless of how physicians feel about the new world order when it comes to the ABMS, the fact remains that board certification is only maintained through the MOC program. This is where CME comes into play. It’s A + B = C.
A: The ABMS Program for MOC involves ongoing measurement of six core competencies defined by ABMS and ACGME. B: These competencies are measured in the ABMS MOC program in a four-part framework, one of which is Lifelong Learning and Self-Assessment. 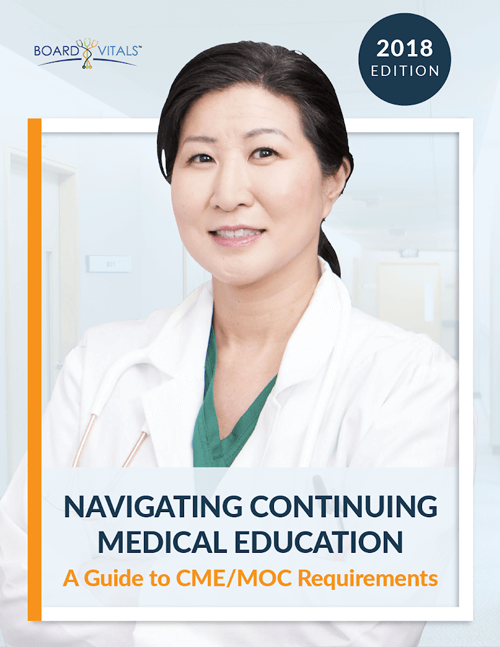 C: Depending on your specialty, these “Lifelong Learning and Self-Assessment” CMEs can range from an average of 25 CME credits each year required by the American Board of Allergy and Immunology, to 60 CME credits per year for the American Board of Anesthesiology. CME is essential to practicing as a physician. You can consider them tantamount to a root canal, or like the annual physicals, your patients must endure – important to retaining control over the course of one’s life. BoardVitals can help you strategize your approach to CME by removing frustration and last minute rush. Our self-assessment CME programs are all certified for up to 100 AMA PRA Category 1 Credit(s)™ and can help you complete your state license requirements in a matter of hours as opposed to days or weeks. Also, check out these free CME activities if you only have a few CME credits left to earn to meet your CME requirements.